The market has the technical setup for the greatest gold shock in history. When it rocks markets, gold will soar — ultimately to $10,000 if my full thesis plays out. But most gold investors won’t be happy when it does. In fact, most gold investors will face big losses when gold reaches that price. And most of the people who want to get hold of the physical metal won’t be able to. I was recently in Switzerland, where I met with my secret gold contact. I call him “Goldfinger” to protect his identity. He’s one of the most plugged-in men in the gold industry. He meets with the heads of the world’s largest refineries… some of the highest-level bankers… finance ministers… gold dealers… and central bankers. He also controls tens of millions of dollars in physical gold. “Goldfinger” knows why this gold shock is coming better than anyone else because of his first-hand knowledge of the gold market. He sees it playing out in front of his eyes. 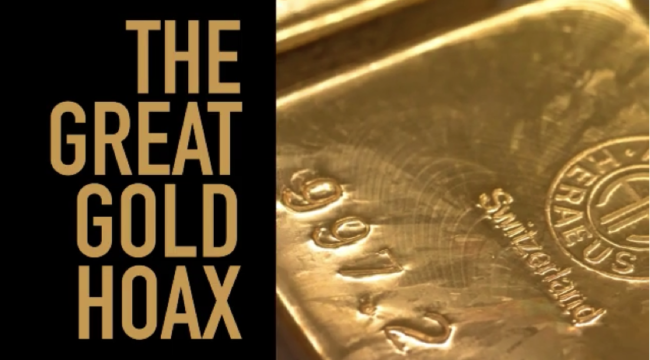 Most people believe the gold shock could start if a large institution with a paper claim for a lot of physical gold, demanded delivery of that gold. The story goes: There’s not enough physical gold to back up all of the paper gold. So therefore, if a large player demands enough physical gold, that order won’t be filled. And a gold panic would ensue. But the gold shock that’s coming will almost certainly not come from any of the large gold market participants. This surprises many people when I tell them that. But consider a hedge fund that’s long gold futures. Why would that hedge fund start a buying panic in the physical gold market by taking delivery of physical metal? And if a large hedge funds is thinking of taking a large enough delivery of physical gold to cause a panic, they’ll probably hear from their lawyers. And those lawyers are going to advise against it because it would put the hedge fund in the crosshairs of the Justice Department or a Commodities Future Trading Commission (CFTC) investigation. Smaller market participants can ask for delivery of physical metal if they own gold futures without causing a problem. But if too many request delivery, the powers that be can change the rules very quickly. They could work to make it illegal. The U.S. government can decide they’re not a normal gold trader, but a manipulator. Manipulation is illegal. The feds can paint them as a mini-version of the Hunt brothers, who tried to corner the silver market in 1980. That may sound far-fetched because there have been tons of manipulation on the short side of gold. If manipulation is illegal, why doesn’t the Justice Department simply go after the gold shorts? The likely answer: Because the biggest gold short is China, and they’re beyond our jurisdiction. Nobody thinks the FBI is going to investigate Chinese gold manipulation. China is the second largest economy in the world and a sovereign nation. (And maybe the Fed doesn’t mind if the price of gold has a lid on it anyway). So we won’t see anti-manipulation enforcement against the gold shorts. Or take another example of a large player in the gold market. A large “local” broker on the floor at major futures exchanges or commodity exchanges makes money every time a gold contract expires. They sell the current month’s gold contract, while buying the next month’s gold contract. That’s called “contango” — which is just a fancy way of saying that the price of gold delivery in the future is higher than the price of gold now. If gold is in contango, a trader can keep executing the same type of trade and profiting over and over again. Now, that broker can use those gains to fund other trading activities. So why on Earth would it want to blow up the gold market by causing a panic? The broker’s making money on the gold trade and has every incentive to keep the game going. The paper gold market is comprised banks, local traders at the exchanges, and hedge funds. All three of them are disincentivized to cause a panic in the gold market. The locals are making steady profits, so are the banks, and the hedge funds are being told by the lawyers that they could go to jail if they demand a large gold delivery. No large player in this market is looking to produce chaos. Then that firm’s customers will all rush at once into the physical market with a massive order. They need to cover the firm’s failure to deliver. And that sets off the panic. The trigger could also be a geopolitical shock. It could also be an assassination, a suicide of an important player, or a natural disaster. It’s coming very soon. When this trigger is pulled and the gold panic starts, it’ll run out of control very quickly. Gold prices will soar to heights no one thought possible just a short time ago. The dollar will plummet against gold. And very few people will be able to get their hands on gold when they need it most. That’s why you need to understand what’s about to happen so you can prepare.